Choosing one from the wide variety of flooring options available can be immensely confusing. You can easily get lost in the specifics and details on how one type of flooring is different from the others. 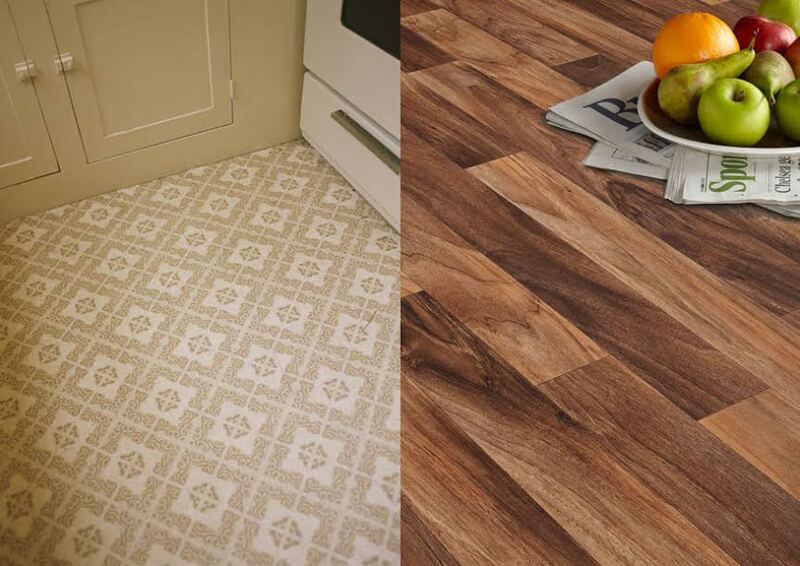 One of the most common questions that consumers ask is, “What is the difference between Linoleum Flooring and Vinyl Flooring?” This is mainly because Linoleum Flooring and Vinyl Flooring can look very similar to each other. Still, there are some distinctions that set the two types of flooring apart. Don’t worry! Below, we are going to help you choose between Linoleum Flooring and Vinyl Flooring by telling you the characteristics of each as well as the differences and comparisons. So, continue reading! 1 What is Linoleum Flooring? 4 What is Vinyl Flooring? Linoleum, sometimes simply called as Lino, is a floor covering material that is made from renewable substances, such as solidified linseed oil, pine rosin, wood flour, ground cork dust, and mineral fillers (typically calcium carbonate), applied on a canvas or burlap backing. Pigments are usually added to the material for aesthetic purposes. High quality linoleum is very flexible, making it highly usable for buildings and applications where a more rigid material would crack. The finest linoleum flooring, which is also known as inlaid, is made by joining and inlaying solid linoleum pieces and is extremely durable. Cheaper linoleum floorings come in different gauges/grades; they are printed with thinner layers and thus are more prone to wear and tear. Since linoleum flooring is made solely from renewable, biodegradable, all-natural substances, it may be more preferred by environmentally conscious consumers. It is more environment-friendly and more ‘green’. In addition, linoleum flooring is fire retardant, antistatic, stain resistant, antimicrobial, and hypoallergenic. Furthermore, linoleum flooring is known for its long-lasting durability. It can last for 20 – 40 years, comparable to ceramic and hardwood. It is generally more durable than vinyl if installed and maintained properly. The color pigments in linoleum flooring go through the material, as opposed to the designs of vinyl flooring that are simply stamped on the surface. As the effect, linoleum flooring can have a significantly longer wear life. Linoleum is water-resistant, but not waterproof. In other words, it still can be affected negatively by moisture and humidity if not sealed properly and periodically. You should apply an acrylic coating annually, and some models may require occasional waxing. When cleaning with water and detergent, make sure that you use a neutral detergent because it is sensitive to harsh cleaners. The installation of linoleum flooring is generally simple and not complicated. However, it is indeed not as simple as vinyl flooring because of some distinctive yet necessary precautions, mainly due to the potential damage from water. A water sealant coating is imperative, and the seams between the tiles should be as thin as possible to prevent water penetration. 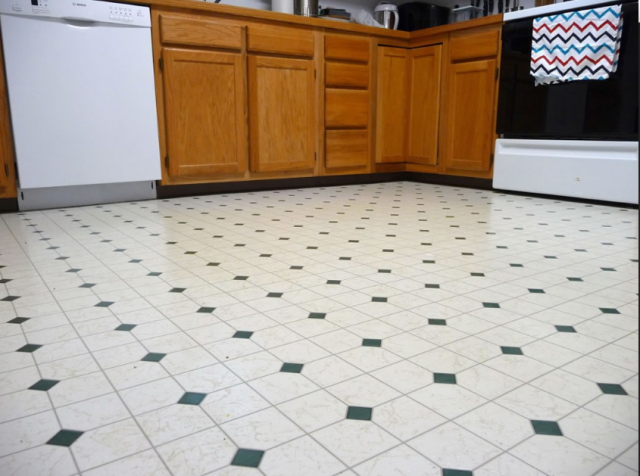 Linoleum flooring is not expensive. But it generally costs more than vinyl flooring. It may cost $2.00 – $5.00 per square foot. Contrary to linoleum, vinyl is not a natural substance. It is a synthetic, man-made material. The formal name is Polyvinyl Chloride (PVC). It is essentially a type of plastic made from a combination of ethylene (which can be found in crude oil) and chlorine (which can be found in regular salt). In addition, it may also contain additives, such as felt, fiberglass, and dyes. Vinyl was invented in the 1920s by scientists who wanted to create a material that is cheaper, easier to use, yet also more durable than what were available. Besides for flooring, vinyl is also used for siding, making vinyl records, vinyl gloves, etc. One of the most distinctive advantages that vinyl flooring offers if compared to linoleum flooring is that it is completely waterproof. It does not get affected by moisture and humidity. 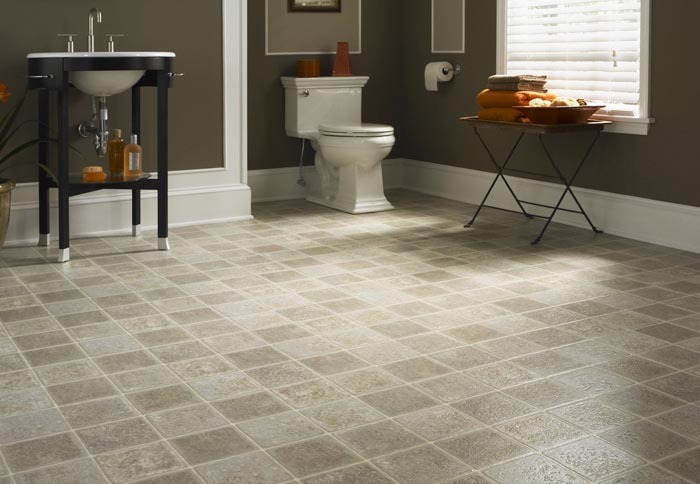 This is a great plus point when considering a flooring option for a bathroom. Since it is waterproof by nature, it won’t require you to worry about sealing or waxing. In addition, vinyl flooring usually has many design options with various patterns and colors. Vinyl flooring is very easy to install, and you can do it completely by yourself. You can choose either the tile form or the sheet form – regardless of your choice, you don’t need to deal with sealing or waxing. Vinyl flooring is also very easy to maintain, and is in fact one of the easiest flooring types to clean. You just need to sweep, vacuum, and mop regularly; it does not have any problem with moisture, humidity, mold, and mildew. Vinyl flooring is very budget-friendly. It costs $0.50 – $2.00 per square feet on average. Since vinyl is a synthetic product made from non-renewable resources, environmentally conscious consumers may dislike vinyl flooring. There are also some reports saying that volatile chemicals are released from vinyl flooring at the first moments after installation. These chemicals degrade the quality of the air in the interior space and may pose a risk to human health. Thus, it is a wise idea to properly circulate the air in the room for some time if you have just installed the vinyl flooring. When compared to linoleum flooring, vinyl flooring is not as durable. It typically lasts for 10 – 20 years. Vinyl flooring also has a shorter wear life, as the designs are simply stamped on the surface. If the surface is not given an additional layer for protection, the surface will wear through, and the design will be gone after some time. Thus, if you really want the aesthetic look to last for a long time, you will need to give a sealant, too. Linoleum flooring and vinyl flooring have each own advantages and disadvantages. Linoleum flooring can be considered healthier, and is more environment-friendly and more durable. But linoleum flooring is not completely waterproof, thus requiring proper installation and maintenance. Meanwhile, vinyl flooring tends to be cheaper. It is completely waterproof, and thus easier to install and maintain. However, it is synthetic and not as durable.